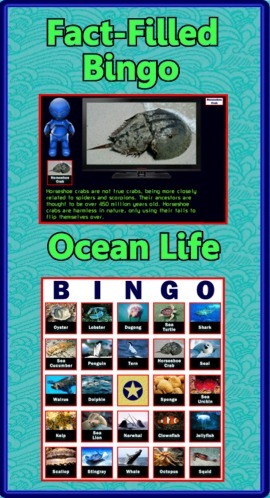 Are you looking for a way to add interest to your Oceanography unit? Do you need more activities for your learning stations? 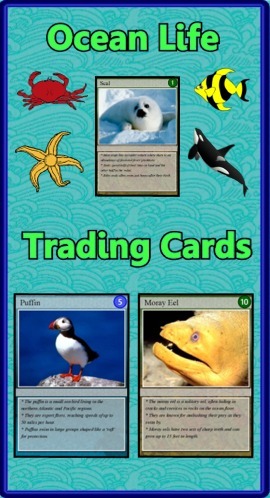 “Ocean Trading Cards” is a set of 54 trading cards highlighting fish, birds, mollusks, and other fascinating creatures. Print & laminate the cards to create a standard set of playing cards. "Educational Trading Card Games" details 3 original learning games. "Creating Educational Trading Cards" shows teachers and students how to make their own cards. These are fantastic - was planning on making my own but yours are wonderful! I plan on using them to distribute to students and have them complete a research project on their given topic to become an 'expert' and teach the rest of the class about it. Thank you! These cards are beautiful! Great for our opening science unit. Thanks! Students play the starring role of "Ace", assistant investigator to Paula Pacific, who is assigned to examine unusual behaviors noticed in killer whale populations in the Alanamorris Strait. 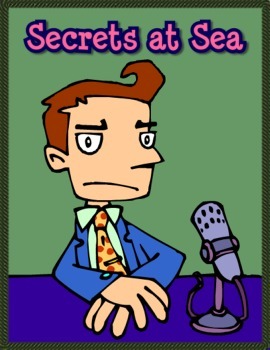 As Ace progresses through the story, he must successfully complete a number of ocean-related learning activities. The knowledge gained from completing these activities leads the student to the solution of the case. This will be fun to use in our co-op class. Thanks!